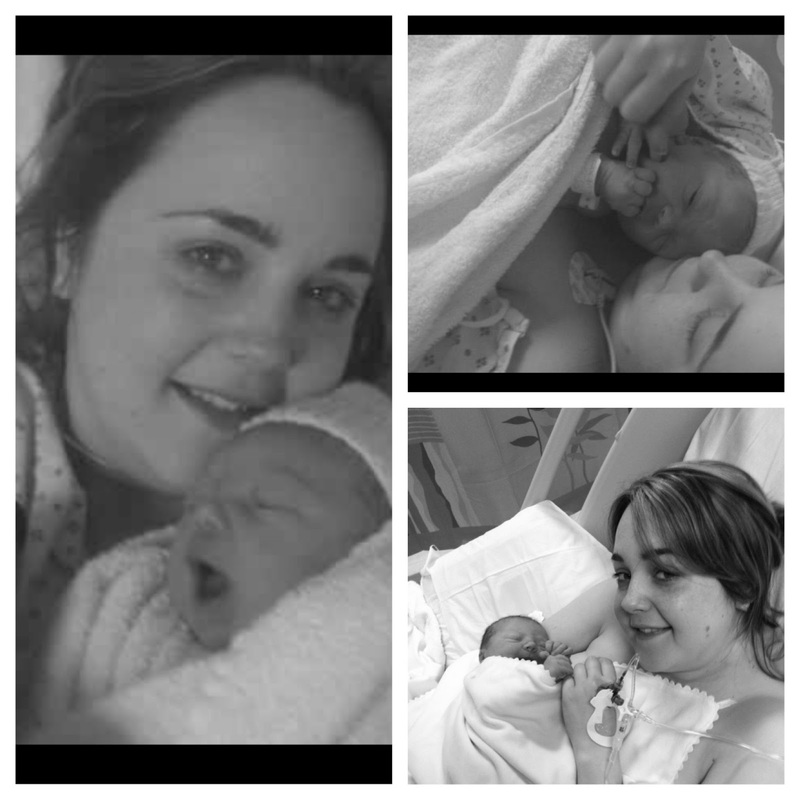 On Friday the 1st June 2012 a Midwife had been scheduled to visit me at home to check my blood pressure, over the last 4 weeks of my pregnancy it was slowly starting to creep up. At 9.40am she arrived and asked how I was feeling, I was completely fine I told her and really looking forward to the Jubilee weekend. She took my blood pressure and went very quite, 145/100 she told me, it had gone up considerably in two days. She called Triage at Norfolk and Norwich Hospital and told them she was sending me up there due to high blood pressure. She calmly told us it may be a good idea to take my hospital bag. I looked at Jamie who I could tell was going into his "sensible" mode, I think he knew I would be starting to panic. Once the Midwife left it was a quick blitz to grab my bag and get Lady (the dog) settled. And then the loooongest car journey ensued. When we arrived at Norfolk and Norwich (N&N) we went straight the the Cley Ward and was shown to a bed told to do a wee sample and get comfy. The Midwife came and introduced herself and told me what observations would entail. They were going to monitor my blood pressure, take a wee and blood sample and monitor the baby. We were warned it may be a long day. Everything came back ok bloods were fine, so no sign of pre-eclampsia which was my main worry and baby was happy and content. Then at around 3pm the doctor came to make a decision on whether or not I could go home, I was of the mind I was going home. She took my file, spoke with the Midwife and then examined my bump. I was already measuring small, and had an ultrasound scheduled for the 8th June to check baby's size. When she measured my she said I was measuring at 33 weeks at that point I was in fact 38+6. So she rang the ultrasound unit and managed to fit me in. I was told to go straight down there and then return with the results. This is were it got scary again. I had no idea that I was measuring THAT small, and was frightened for the safety of baby b. When I arrived, I was seen straight away, and I got to see my Baby again! Yes she was measuring small, but not as small as the doctor first believed, they estimated her weight to be about 6lb. However the scan did show something else, I had very little fluid, which is probably why I was showing very small. So with the results in had off me and Jamie trotted back to Cley Ward. The results were given back to the doctor and she asked one of the Midwifes to do an internal examination. This terrified me as well.... something I knew was eventually going to have to happen... She examined and my cervix were closed and no sign that my waters were leaking. So with that the doctor came back to discuss induction. "I think it would be best to induce you, I wouldn't want to risk any harm to the baby or you if we leave it any longer". I looked at Jamie and could tell he was secretly excited to meet his little girl. Me on the other hand had herd plenty of horror stories about induction and again the fear kicked in. However the fear of anything happening to my baby greatly outweighed the fear of being induced. So it was decided that I would go home to relax for the evening and that at 9am on Saturday 2nd June I was to return to be induced. That night I barely slept. Yes I was scared, but also the excitement of meeting our little girl played on my mind. SO at 9am we arrived back at the Cley Ward. the Midwife showed me to a bed, and told me she was just going to go over my notes and ring the consultant. When she returned she told me that due to my complications they were going to move me straight to delivery suite as I would need to be monitored very closely. We made our way down to the delivery ward and were meet by two lovely midwives (one was a student). They showed me to my room, and made me comfortable and explained what would happen. I was examined to see how "favorable" my cervix were... they were open and i was 1cm dilated!!!! The day before they were closed!!! Then the pessary was inserted. Oh my F'ing god... That hurt. "Right, this may take a very long time, it could take as long as 24-72 hours for labour to truly get going, best you go for a walk and have some lunch". So me and Jamie walked down to the cafeteria. Literally 5 mins after this conversation I had my first contraction. Whilst at lunch the contractions kept coming, they weren't particularly painful, but they were every 5 mins. I asked Jamie if we could go back. When we did they started to get very painful, my two Midwives that were looking after me shift had ended and they swapped with two other lovely Midwives (again one of them was a student). The student midwife asked if I would like a birthing ball as it may help with the pain. It was great I loved bouncing around! Jamie even cheekily took a picture of me and sent it to my dad. That was the last enjoyable moment of my labour!! At 2pm my contractions were coming strong and fast, I said to Jamie that I don't think I'm going to cope. He was truly amazing throughout, rubbing my back hugging me etc. At about 3pm I was asked to go back on the bed so me and baby could be monitored closely. This is when it felt like it was getting too much. They examined me again I was 4cm and my waters were bulging. They said they were going to brake my waters and that the pain was going to get alot worse from here on. I asked for an epidural first. I always wanted to have a natural birth but gas and air was doing nothing, and my contractions were coming every 40 secs. It was just too much. The senior Midwife was also in the room at this point and she said she was going to fetch the doctor and the anesthetist. The anethetist came, and did my epidural, it was extremely hard to keep still, I had to tell her each time I was having a contraction, she had a 40 sec window between each contraction to get it done... No wonder it didn't work. At this point I was also given an injection to slow down the contractions and some medication "just incase" I would need a c-section. I then realised the epidural had not worked and the Doctor broke my waters and asked to attach a clip to babys head to monitor her more closely. I agreed. The doctor then looked at me and looked at the monitor (I don't remember this, this is coming from Jamie) and hit the alarm. The room filled so quickly. Just like one of them fateful One born every minuet episodes. All I can remember is seeing Jamie crying, the pain was so much I didn't know what was happening. Then the senior midwife told me to focus. "Your going to have a c-section, baby is not happy we need to get her out now, kiss Jamie." Kiss Jamie... was this goodbye?! What does she mean she is not happy? All of this was running through my mind as the ran me down the corridor to the theater suite. They got me into theater, and I could see the lights over head of me. "I'm the surgeon, I'm going to make sure you and baby are safe, and soon you will be holding your baby". "I'm now going to put you to sleep, there is no time for a spinal and your epidural failed". I can feel the iodine being painted on me. "why am I not asleep" I ask. When I woke I was in a recovery room. "what happened?" "You have just had a baby girl"
"She is ok?" "She is perfect". The Jamie walked in with Darcie and her placed her on my skin. I have never felt so much love before in all my life. Jamie kissed me, that kiss was the most special kiss I have ever had. We were all safe. We were together. Perfect. It took a few days to get over what had happened. I had missed the first hour of my daughter life, something I would never get back. BUT I HAD my daughter, she was safe and well, and to me all of that nightmare was completely worth it. Now me and baby are really well, my blood pressure is still being a bit erratic and so I'm being closely monitored to make sure it comes back down, but I'm healing nicely and becoming more mobile everyday. Darcie is breast feeding well and gaining weight, she is slightly jaundice, but its completely normal apparently. Will update soon with further progress. Also keep your eye out for some product reviews coming soon!!! It was, when I think of it now eight months on, it doesn't seem real, I read this and think did that really happen to me?!! Probably the best way really or else I would never want another!!! Thanks! I'm looking into having my blog re-designed as I'm never happy with the layout!